Yoga is often defined in one word as union. In two words: to join. Yin and yang. Shiva and Shakti. Everything and nothing. Spirituality and Science. Julie Gudmestad is yoga come to life. This woman is sharp. She is 66 and she is a professional. When she walked up to me in a busy little café on a rainy Portland afternoon, she was in an ankle length black peacoat- short grey hair just so. Put together. This was the medical professional before me. As we started speaking, it became clear that she has made a wonderful life finding the balance between the science and the spirituality of yoga. I was curious…did yoga bring Julie to physical therapy, or did physical therapy bring her to yoga? “Yoga first.” She told me. “Always yoga first”. Julie started teaching yoga in 1970. She was attending Reed College, and had already been practicing for a few years. Her friends and classmates were interested in it, so she started teaching them. Thus started her quest for physical therapy. She graduated from Pacific University in 1977, and started taking Iyengar classes. 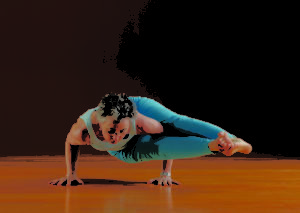 Iyengar is known for its attention to detail, alignment of the posture, control of the breath. It is no wonder that a physical therapist would be drawn to its structure and focus on the mechanics of the physical body. 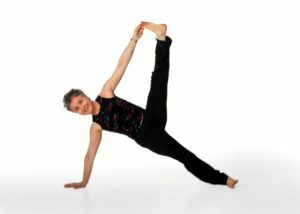 She became Iyengar certified in 1988, and still holds that certification. After getting a bit of her history, I wanted to know what has kept her going strong for so many years. What is the heart of yoga philosophy, I wanted to know. “Yamas and Niyamas. Compassion is top of the list. Honesty…Be honest about what kind of shape your body is in today. There is a lovely integrity about being present with who you are today. Not who you were a year ago. It’s not who you would be had you been doing x y and z…Compassion starts at home”. Julie got a cheeky smile and discussed how she teaches an annual yoga class to the graduating physical therapy class at her alma mater, Pacific U.
That’s the type of honesty I like! Do you have any other advice, or words or wisdom for the readers? Just like Julie was hooked after her first class…I was hooked to Julie after my first meeting. Don’t miss her sessions as she focuses on the alignment of different parts of the body…and just wait for those snippets of spirituality that shine through the science. This is yoga in true form. 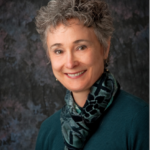 Learn more about Julie Gudmestad’s conference offerings here.